Martina Janková, who is a regular guest at the Salzburg Festival and a former long-term soloist of the Zürich Opera, does not perform in the Czech Republic all that often. Together with the baritone Tomáš Král and the pianist Ivo Kahánek she will sing a purely Czech repertoire at the second Benefit Concert for the Bohuslav Martinů Institute, to be held on Monday, 28 November 2016 at the exquisite Kaiserstein Palace in Prague. This is not the first time the three feted artists have worked together. A year ago, they recorded for Supraphon Leoš Janáček’s Moravian Folk Poetry in Songs. At the benefit concert, they will perform pieces from this album and a selection from Bohuslav Martinů’s New Slovak Songs, H 126, which Martina Janková, Tomáš Král and Ivo Kahánek will be recording next year. “Bohuslav Martinů’s music has accompanied me since my youth. Even as a child I used to sing The Opening of the Wells,” Martina Janková recalls. “I look forward to working again with Ivo Kahánek, whose doctoral thesis was about Martinů, and Tomáš Král, with whom I really resonate musically and with whom I have made a recording of Leoš Janáček’s folk poetry. Our co-operation has always been joyful and inspiring.” The soprano, who in January debuted at La Scala to great acclaim, has not performed in Prague since this year’s Prague Spring festival. “I really do think that Bohuslav Martinů composed a lot of true gems, some of which are still underestimated around the world. 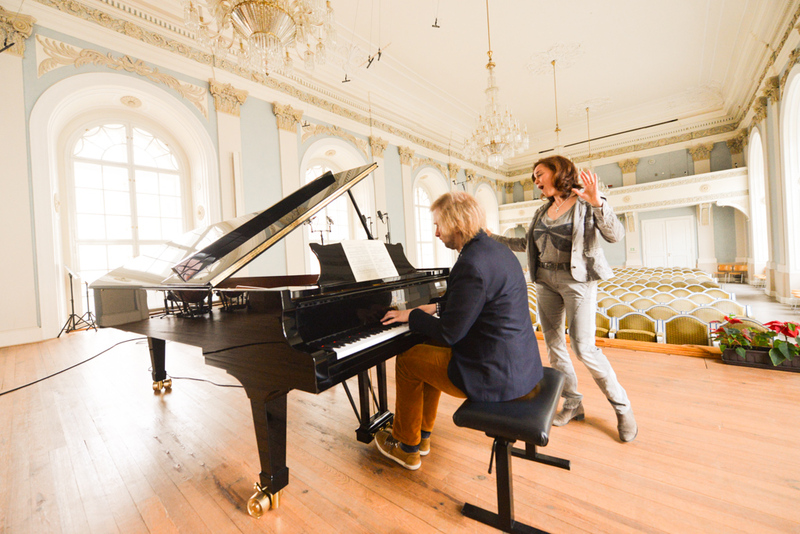 I would like to try to make it right,” says the pianist Ivo Kahánek. The Complete Bohuslav Martinů Edition is sponsored by the Bohuslav Martinů Foundation. Yet the project will run for decades and its full funding is beyond the foundation’s possibilities. Hence, the Bohuslav Martinů Institute would like to hold annual benefit concerts and also offer the individual volumes of the Complete Bohuslav Martinů Edition for “adoption”.